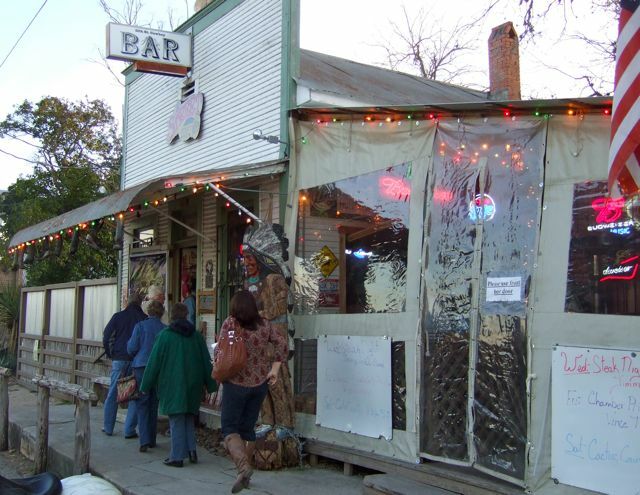 Bandera is the self-proclaimed Cowboy Capital of the World. 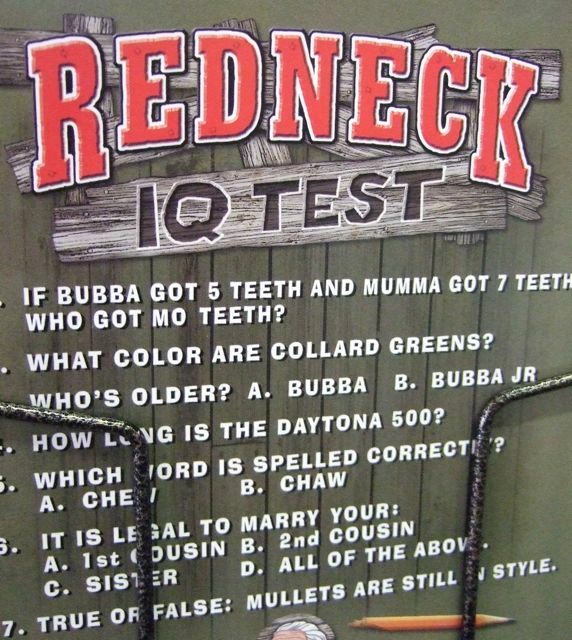 We wouldn't know, of course. 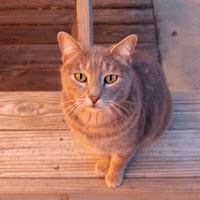 But, we made not one, but two trips there this week to check out the place. 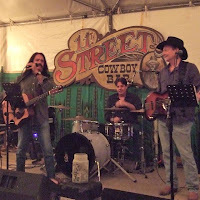 On Wednesday night, Mike and Leslie joined us on the Buckhorn Bus for a group trip to the 11th Street Cowboy Bar. 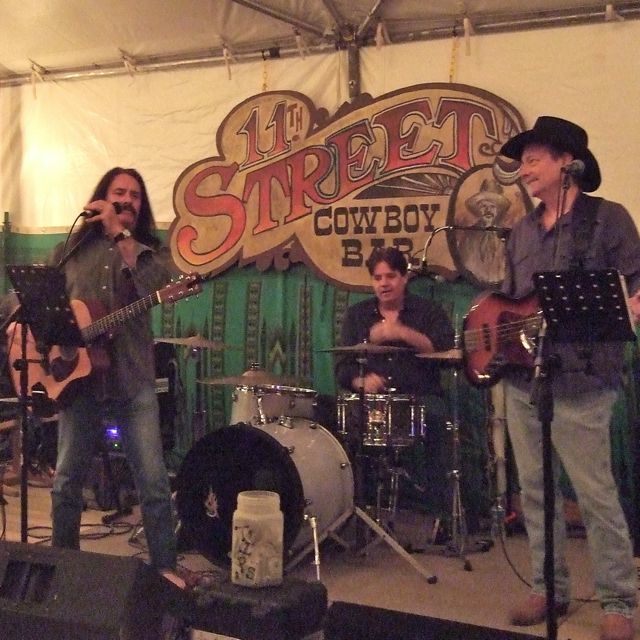 The 11th Street Cowboy Bar had all the ingredients for a fun Wednesday night. The Jimmy Cribb Band was warmed up and ready. 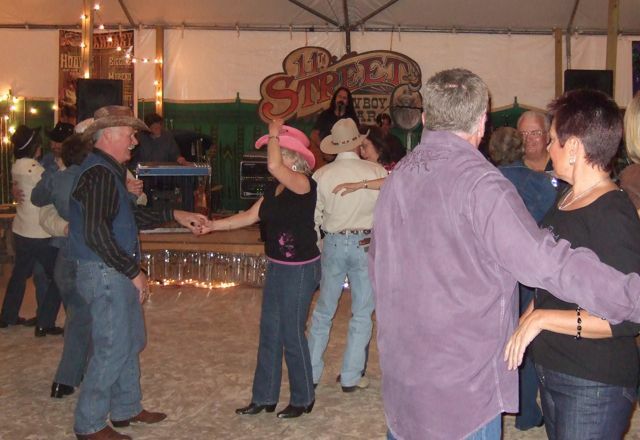 Lots of folks from Buckhorn were out on the floor two-steppin' to the music. There was even a really cute resident cat. And, oh yeah. 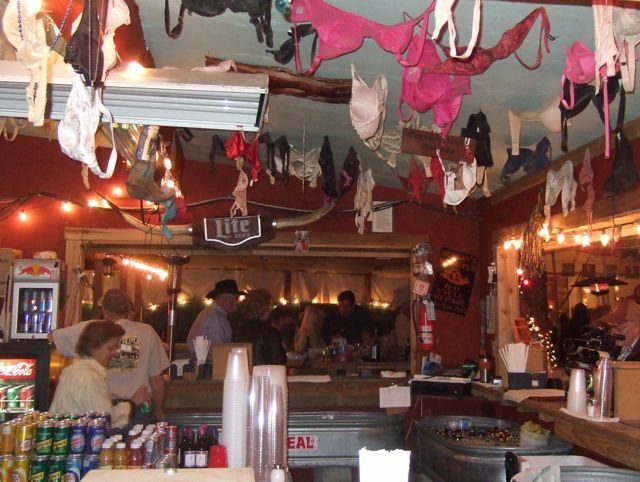 There were the requisite undergarments hanging from the ceiling. There was plenty of ice cold beer. 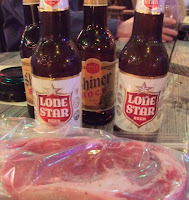 We alternated between a couple of Texas brews: Shiner Bock and Lone Star. 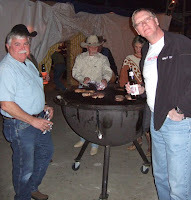 And, since it was Wednesday night, we brought our own steaks! Say what? That's right! 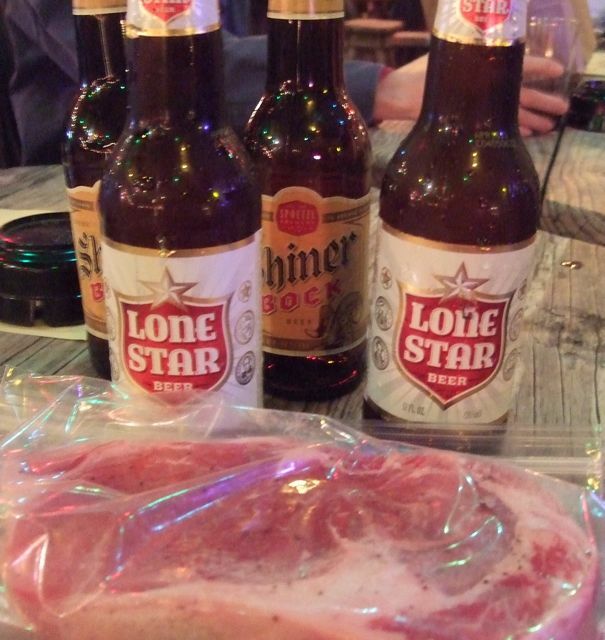 Wednesday night in Bandera is Steak Night. 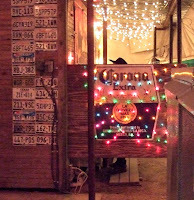 Patrons to the 11th Street Cowboy Bar are welcome to bring their own meat and throw it on one of the many mega charcoal grills out back. With your steak hot off the grill you can add a plate of sides for just five bucks. What a deal! Mike and Paul look quite at home at the mega grills. With our steaks on the grill they managed to find time to enjoy a cold one. We all enjoyed a very tasty steak dinner with some great music and wonderful company. 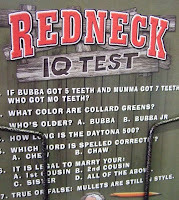 Can you find the cowboy in this picture? And, any guesses as to what he might be up to? Yesterday, we made a return trip to Bandera with Susan and Doug. 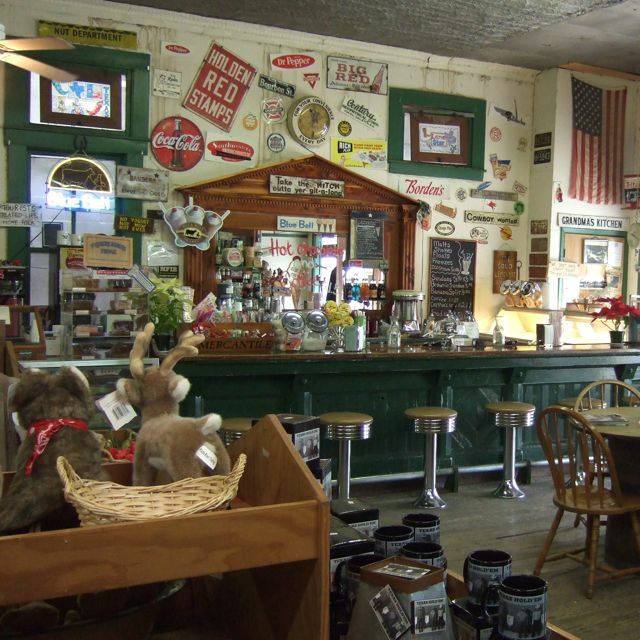 One of our favorite stops was the Bandera General Store. 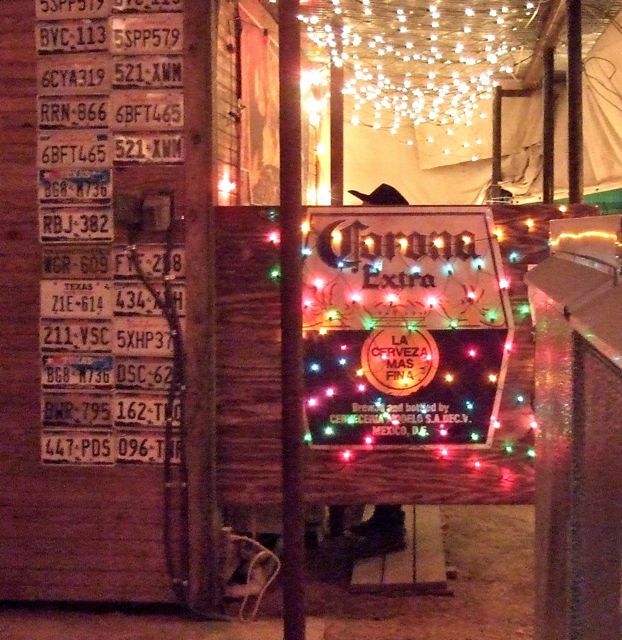 It felt like we were stepping back in time at this nostalgic spot. Paul and Doug spotted this greeting card at the General Store. We'll let you grade your own paper! One of the "must-see" attractions in Texas Hill Country is the LBJ Ranch, between Fredericksburg and Johnson City. This sprawling 1,500 acre park protects the birthplace, home and final resting place of our 36th President. It's such a big place that we made two visits. The first, last month with friends John and Sandy, and again yesterday with Susan and Doug. It's definitely one of those places that is worth a second look. 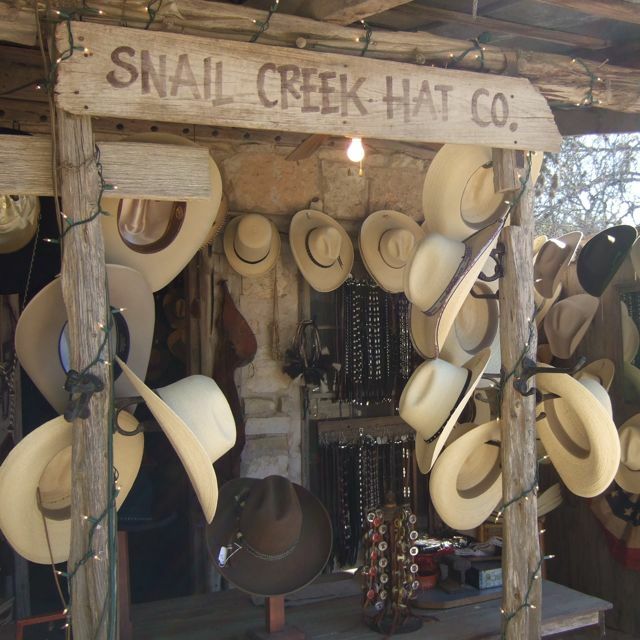 The Visitor's Center is the spot to pick up a free CD that narrates your driving tour of the ranch. The center also features several items depicting life on the ranch. 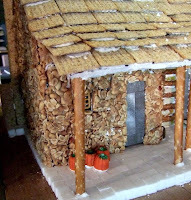 How we missed this edible ranch house on our first visit is a mystery to us! 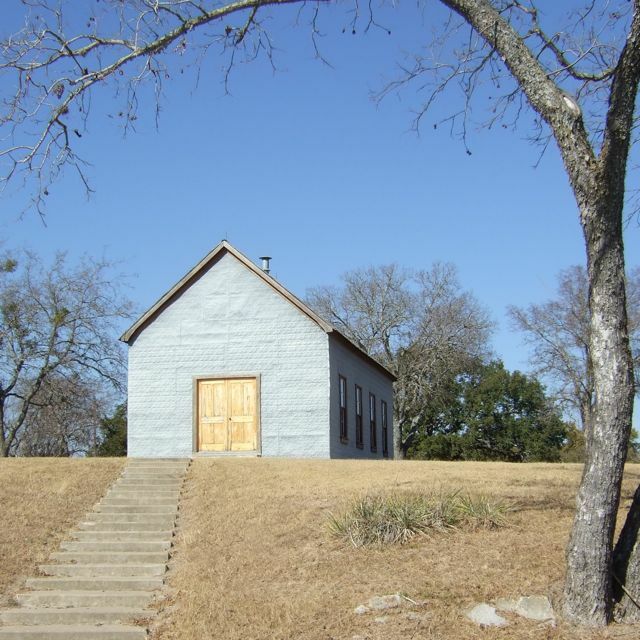 One of the first stops on the tour is this one-room Junction school house where young Lyndon B. Johnson began attending at age 4. As President, Johnson signed the Elementary and Secondary Education Act on this very spot. 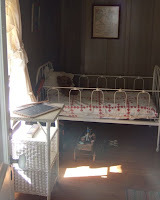 This is a reconstruction of Johnson's birthplace home. 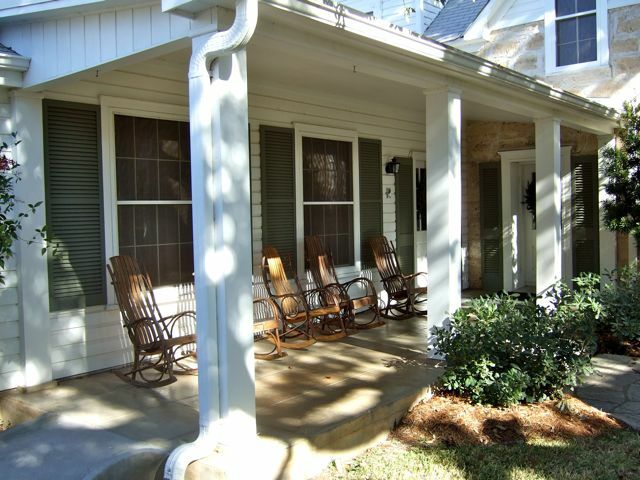 The "dog-trot" style home features an open center breezeway and sweeping views of the ranch. 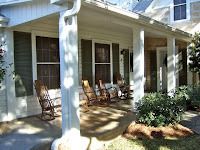 This cozy sitting room is on one side of the breezeway. The nursery sits in the front of the house. The teddy bear in the bed, though not original, is reminiscent of young Lyndon's favorite toy. 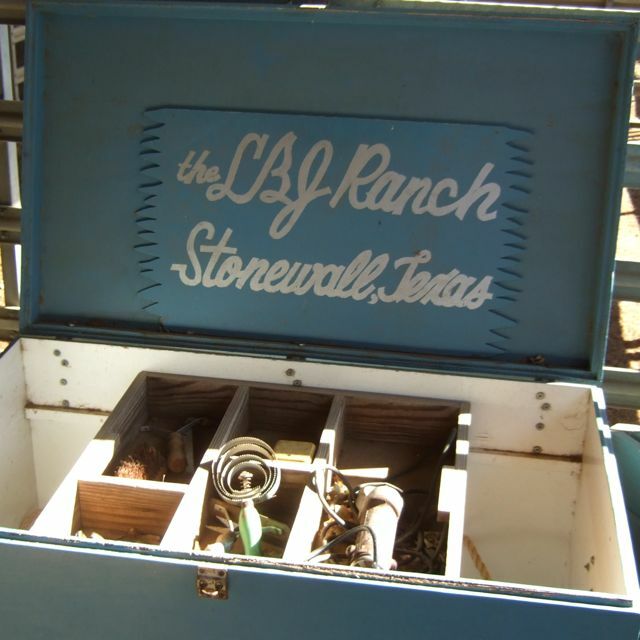 The ranch is indeed a working cattle ranch, though it never provided a major source of income for the Johnson clan. 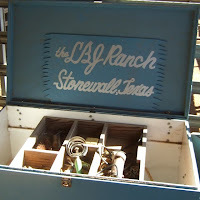 In the show barn, this tack box displays some of the tools of the ranching the LBJ way. 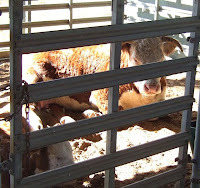 The President enjoyed bringing visitors to the show barn to see his prized Herefords. Today, visitors can take a peek at some pretty pampered bovines. 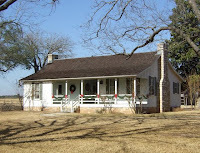 During the Johnson presidency, the ranch served as the Texas White House. 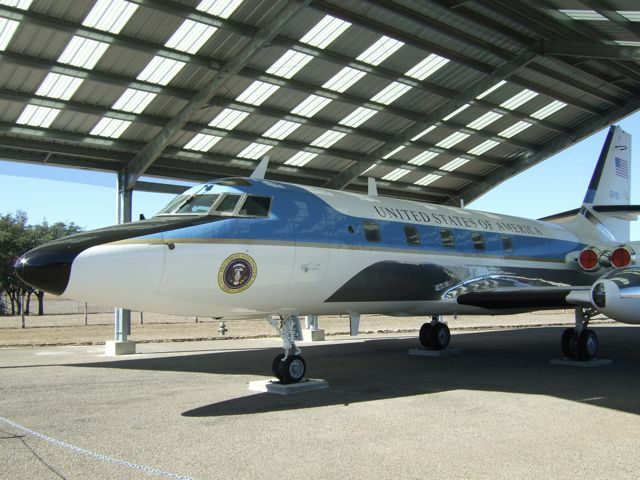 President Johnson flew Air Force One to nearby Austin, where he made the short hop to the ranch on this Lockheed Jet Star, which he dubbed "Air Force One-Half". 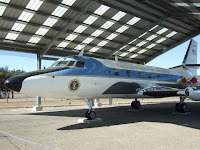 Near the airstrip sits a hangar that was used for press conferences when Johnson was at the ranch. Paul looks like he's up to some pretty presidential business, doesn't he? 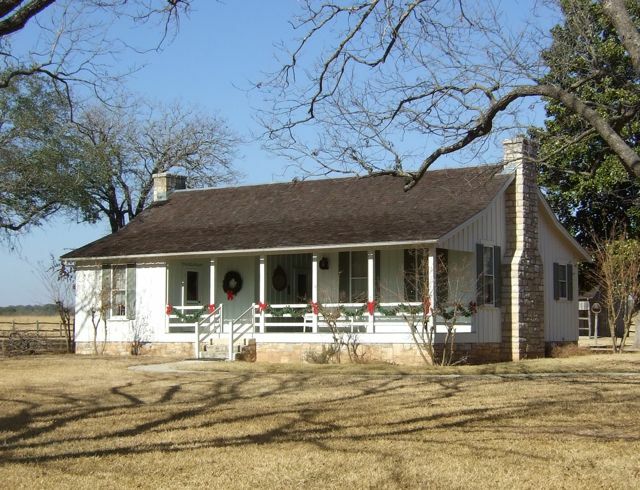 Today the hangar serves as the gathering point for guided tours of the Johnson ranch house. 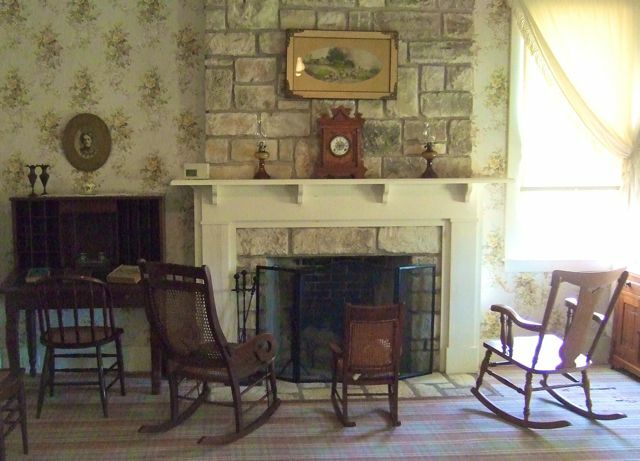 The centerpiece of the ranch is the Johnson home, which sits on the bank of the Pedernales River. 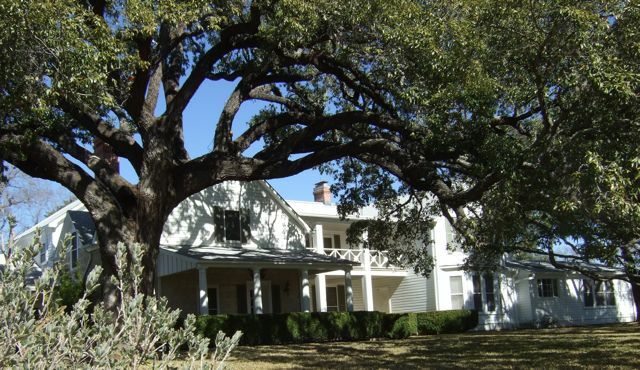 The front yard is dominated by a centuries-old live oak, which reportedly was a favorite spot for the President to gather his staff. If that tree could talk! The Texas Oval Office was just behind this covered porch. No cameras allowed inside, of course. But, a visitor can only imagine who may have rocked with the President just outside his office. 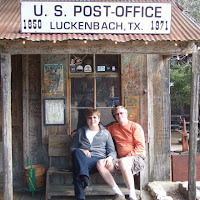 One of the treats of our second visit to the ranch house was this stop, which we missed the first time. 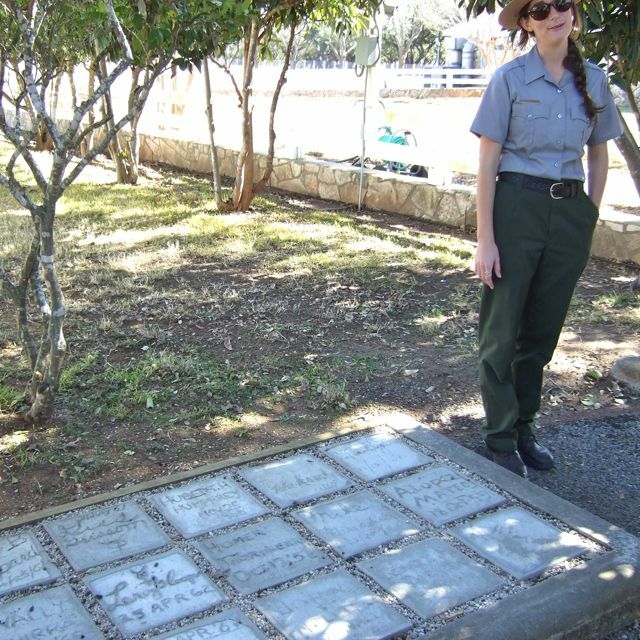 Our very cheerful and informative guide showed us the President's collection of Friendship Stones. LBJ didn't have a guest book. 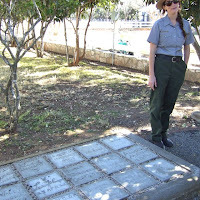 Instead, he encouraged visitors to sign a small square of wet cement. 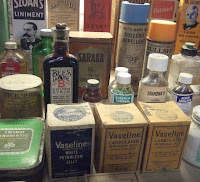 There's quite a collection here! 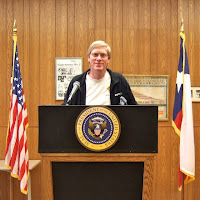 After two visits to the ranch, we have a much better appreciation for who LBJ was. 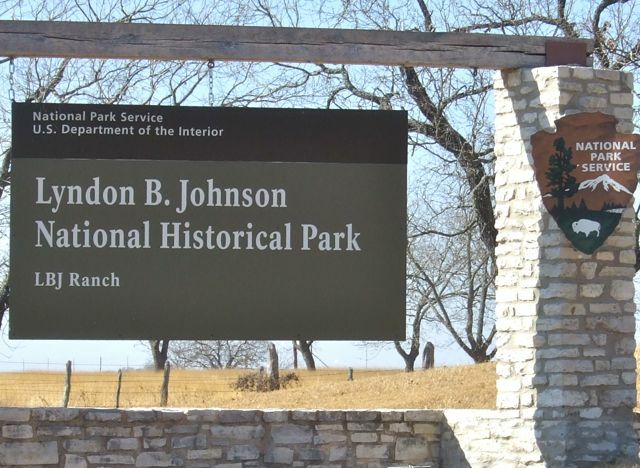 When you have a chance to peruse this vast ranch, you know that Lyndon B. Johnson was, first and foremost, a true Texan. "All the world is welcome here," LBJ said of his beloved ranch. Thank you, Mr. President. We certainly enjoyed our two visits! 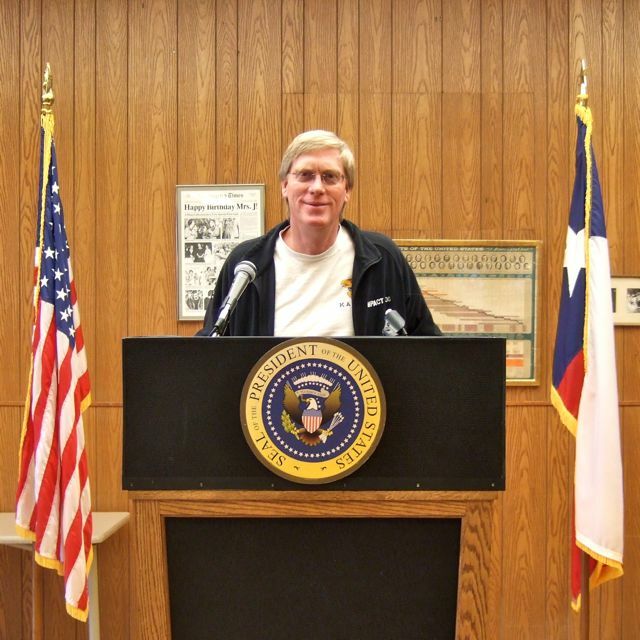 We weren't feuding like the Hatfields and McCoys, but we did manage to make a couple of stops in this Texas town of, count 'em, three this week. 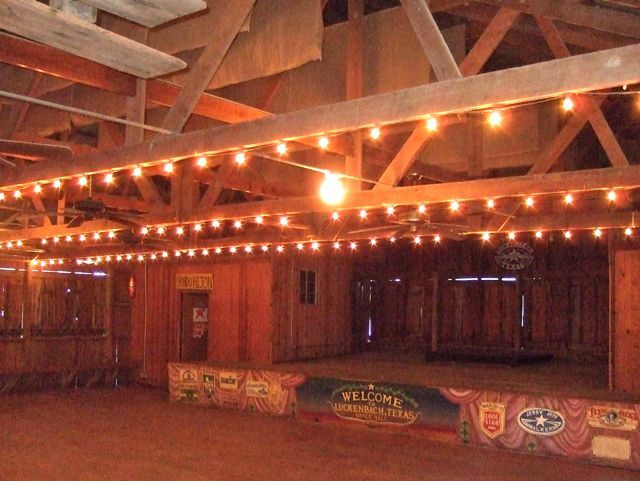 When you get to Luckenbach, one thing is pretty obvious. 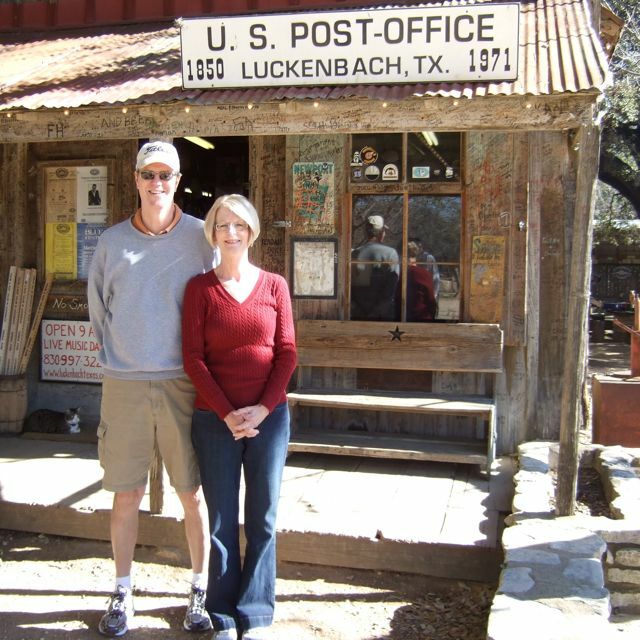 There's not much to Luckenbach. The center of town is the General Store. Once upon a time it also served as the town Post Office. 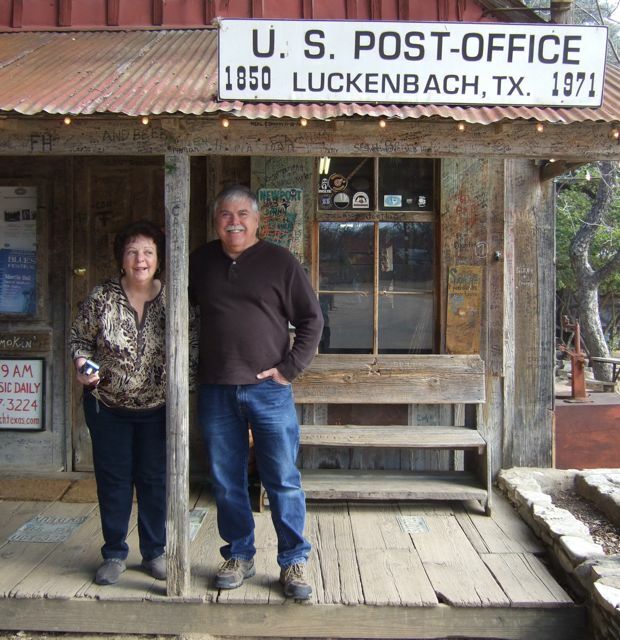 But, this town hasn't had a Post Office since 1971. Today the General Store is pretty much just a souvenir shop. 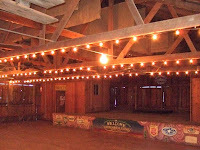 The Luckenbach Dance Hall is home to live entertainment most nights. 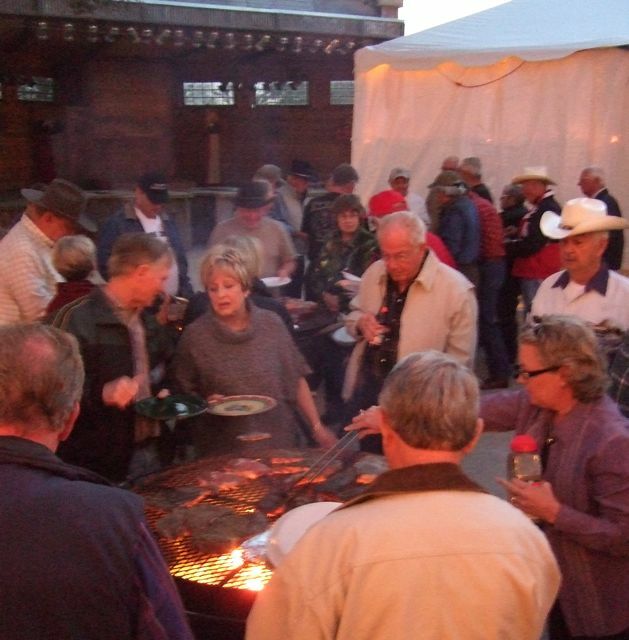 This weekend it's hosting a Blues and BBQ Fest. 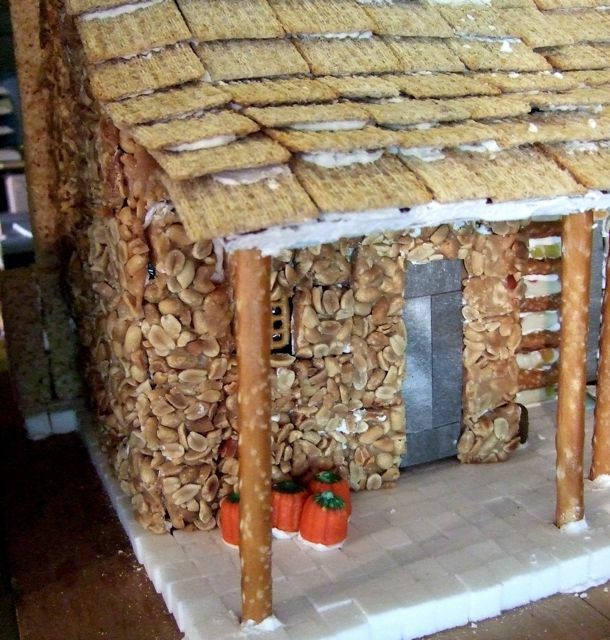 Sounds like lots of fun to us! 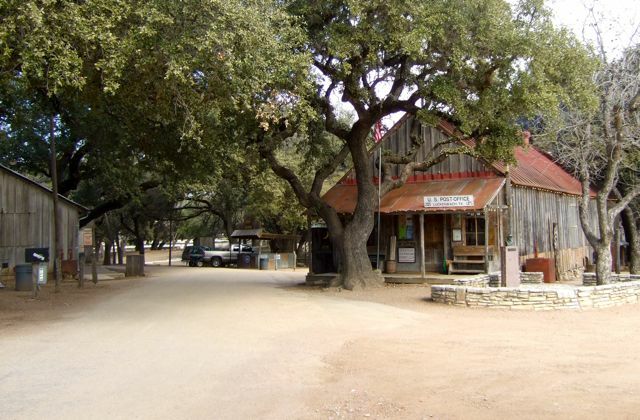 And, this would be the Luckenbach Mall. That's it. 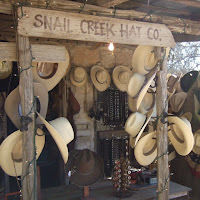 Just the hat store! 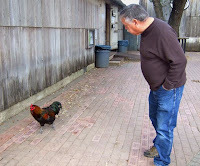 When we stopped by with Mike and Leslie the most active thing in town was this rooster. It seems like Mike struck up a special bond with this feathered friend. 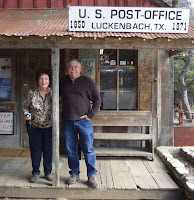 We never did find Waylon or Willie. 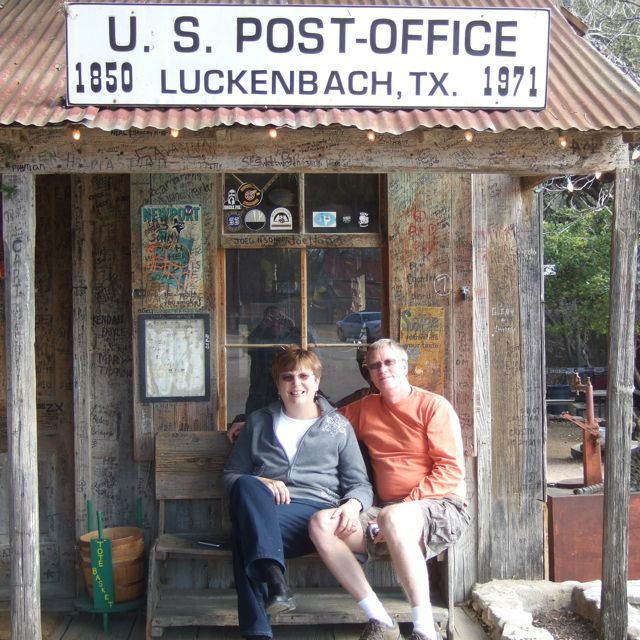 But, here's proof that Leslie and Mike made it Luckenbach. 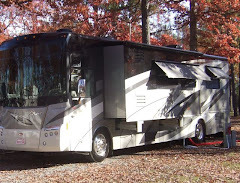 And, on today's trip we introduced Paul's sister Susan and her husband Doug to the place. And, we're pleased to report there ain't nobody feelin' no pain.